While there are many styles to choose from when deciding your cabinetry, the following are some of the most popular and widely used styles. 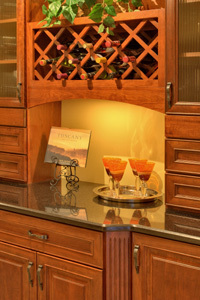 Litchfield Cabinetry can design and build any style of cabinetry. 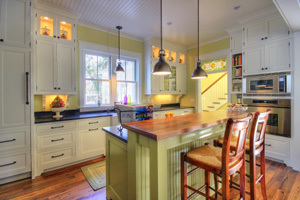 Shaker style cabinetry is very popular in the Lowcountry and exhibits a simple and informal look. It may be described as a cottage or beach look with an eclectic mix of colors. 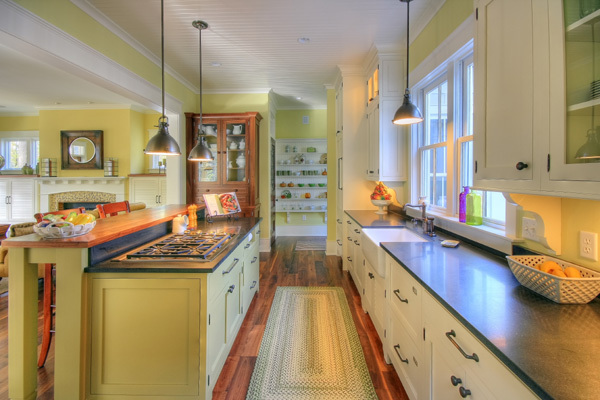 Shaker style cabinetry usually has inset doors and may have exposed or hidden hinges. 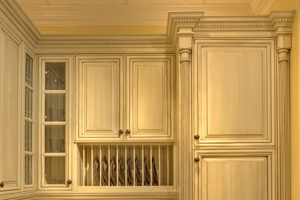 Traditional style cabinetry is the one of the most timeless and widely used styles. It may have cherry or maple stained cabinetry with a raised panel door. Traditional style cabinetry has mix of overlay and inset doors and exposed or hidden hinges. 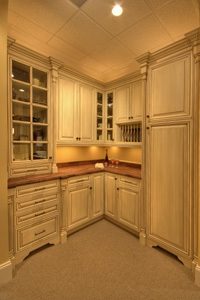 Olde World style cabinetry is reminiscent of a European or French Country feel. It is usually more detailed with much attention to crown moldings, corbels, and moldings. 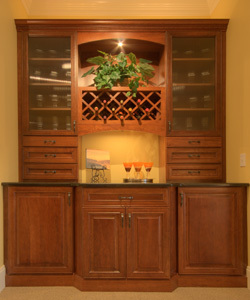 Olde World style cabinetry usually has overlay doors and hidden or exposed hinges.